You're unlikely to be gunned down on the street by someone you've never met. But you may well be stabbed to death in the comfort of your own home. More than fifty per cent of all murders in Australia each year are classified as 'domestic', that is, they involve a death caused by another family member, whether it be a mother, father, partner, child, brother or sister. 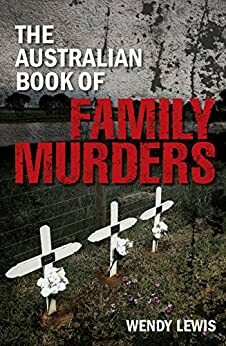 The Australian Book of Family Murders contains over twenty of the most memorable and bizarre cases of such death--from fire, poison, gunshots, knife wounds and brute strength--over the past one hundred years. Wendy Lewis has written for stage, screen, television and radio. Her books range from history to true crime with an emphasis on contemporary Australia. Her recent publications include Gone: Twenty-five of the World's Most Chilling and Bizarre Kidnappings, and Caught Out! Scandals, Lies and Cover-ups. 5.0 out of 5 starsA fine book on Australian crime! This is a paperback of 231 pages outlining various murders undertaken by members of various families in Australia since1892. The book is divided into four main sections, parents, children, husbands and wives who have slain other members of their families. I enjoyed reading this book. Its exciting and shocking, gripping and intriguing. A lot of the desperadoes listed in this book committed suicide as they couldn’t face their long prison terms. There is no index at the rear of the book but an extensive bibliography or notes and other sources used in the book is provided. However, the book has 4 pages of black and white photographs. I recommend it to anyone interested in learning about Australian crime and justice.